New for 2018 – Triple Crown will be allowing BPF 1.15 and USABats. For any division that Triple Crown offers as “No Lead Off / LL Rules”….only USABats will be allowed. All teams will play doubleheaders split between Saturday and Sunday. Only a portion of the top of teams will advance to Monday playoffs. Important Note: No metal spikes allowed on portable mounds (plastic molded, rubber cleats or tennis shoes only, please!). **Additional verification will be needed for these players. Division 1: This is our most competitive division which includes “Select / Elite” teams and is also open to any team that wants to compete at a high level. Division 2: When you see Division 2 (or D2) after the age group that indicates a bracket designed for teams that are not yet ready to compete with top teams. Division 2 is similar to the second-tier divisions you see in national sanctioning organizations. 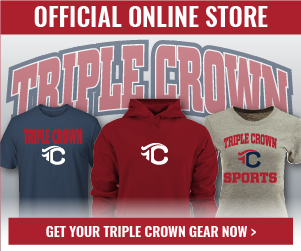 Here is how Triple Crown compares with other sanctioning bodies -- we always encourage teams to play up. Since 2005 the Bend Elks Baseball Club, in cooperation with Bend-area high school baseball programs and the Bend Metro Park and Recreation District, have operated the three-day weekend tournament. It has emerged to be one of the "must attend" events for youth baseball teams throughout Oregon. Bend is located in the foothills of Central Oregon's Cascade Mountains on the edge of a Ponderosa pine forest as it transitions into the high desert plateau. Outdoorsy, yet sophisticated, Bend is the state's hottest destination spot. Oregon's playground is where it's at if you like mountain biking, hiking, rafting, golfing, fishing, climbing, camping, skiing and/or general sightseeing. The area features several resorts and Historic Bend, a must-do locale, with 250 specialty shops, restaurants, brew pubs, art galleries, antique stores, coffee houses and such, coupled with Bohemian flare and historic charm. At an elevation of 3,628 feet, Bend enjoys the predominately dry climate of the Great Basin. Sunny days, low humidity and cool nights are common. The city of Bend and the surrounding area look forward to hosting this tournament as it generates economic vitality in hosting teams from outside the area. Over the past 10 years, well over $200,000 of event proceeds have gone to support amateur baseball in Bend. The tournament host, the Bend Elks Baseball Club, plays games at historic Vince Genna Stadium.